… tearing up your backyard! We're not kidding. Why? Outdoor construction projects have less impact on your yard since your lawn is dormant for the winter. And, your sprinkler system is winterized and shut off, so you won't miss a few watering cycles while you start on your new warm weather wonderland. Another reason why winter is actually the ideal time for hardscaping: Don't lose those beautiful early spring backyard getaways to messy, muddy construction! 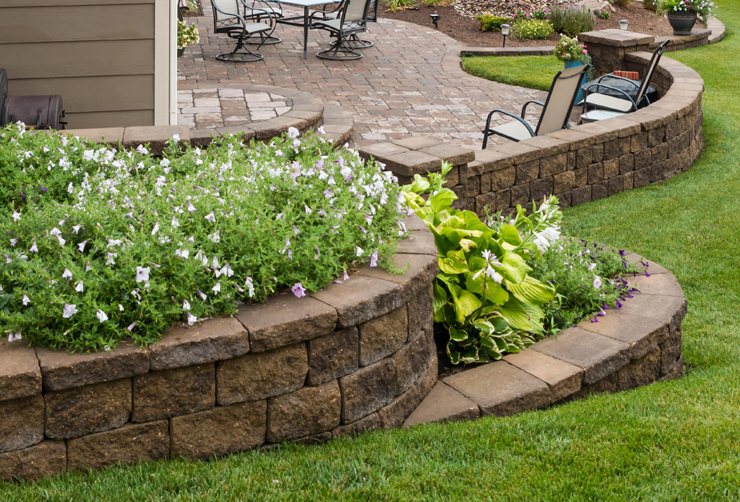 Hardscaping now will give you more Dreamscaping time when the birds start chirping and nature comes to life again. It all starts with planning and design . Got some ideas? Great! Need some? We got 'em. Just drop us a note, or call 529-002, ext. 2.